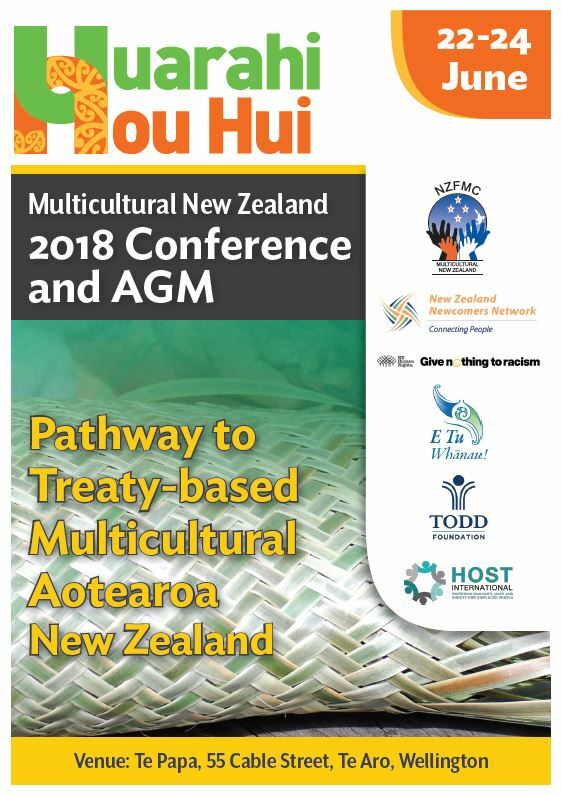 Multicultural New Zealand proudly presents 2018 Annual Conference and the 29th Annual General Meeting. The conference themed Pathway to Treaty-based Multicultural Communities, is designed to be insightful, thought provoking and futuristic. We have lined up of great speakers including Ministers, MPs and Iwi, Business and Community leaders to have brave conversation in order to reflect, rethink and reset the way we do Immigration, Refugees Resettlement, Migrant Settlement and Integration, Ethnic Migrants, Refugees and Newcomers Engagement as well as Community Development. - The concept of a "Treaty Based Multicultural Aotearoa" and its significance. - How Treaty of Waitangi provides contemporary basis for immigration to New Zealand and the role of Māori in immigration? - Who leads, monitors and implements the settlement and integration of migrants and former refugees? - What's ethnic migrant and refugee communities place in Tangata Tiriti. - Is there a place for New Zealand emerging communities in the Treaty of Waitangi – as part of the Crown? - We also have the opportunity to know more about State Service Commission’s plan for the Public Sector workforce to be more representative of New Zealand’s population across hierarchy, function and roles. And of course, we celebrate 125 years of women’s suffrage with our own stories of ethnic women’s leadership by acknowledging the women who champion and lead social change in our communities promoting inclusion and family well-being. We join and celebrate the national volunteer week with a community dinner and awards acknowledging some of the 1.2 million volunteers invaluable contribution to our communities. We launch Huarahi Hou, a partnership project with Tangata Whenua that connects migrants with their local marae. Huarahi Hou is a community initiative based on the strong belief that cultural contact between migrants and the receiving community will smooth the path to successful settlement. MNZ is delighted to welcome four new regional multicultural councils: Lakes District Multicultural Council, Porirua Multicultural Council, Multicultural Council of Kapiti and Hawke Bay Multicultural Association. We sign MoU with our new partners, Host International and New Zealand Football. These organisational relationships in the spirit of collaboration will lead to the identification of shared objectives and values providing support service for refugees and migrants, ethnic engagement and cross-cultural communication and development. We thank and welcome our keynote speakers. We will listen and learn from the counsel. Visit our conference website www.huarahihou.org.nz and download the programme plan here. Original generation time 14.4130 seconds. Cache Loaded in: 0.0253 seconds.